This guide shows you how to edit an existing email account in macOS Sierra. 1. Select «Mail» -> «Preferences» -> «Accounts». Select your email account in the list and choose «Server Settings». Use the exactly same settings as shown on the screenshot below. «User Name» and «Password» is you email address and the password you have chosen for your email address in the control panel. Please use incoming server mail.uniweb.se and outgoing server smtp.uniweb.se. You must also use the port numbers and SSL settings as shown below. Remove check mark in «Automatically manage connection settings». 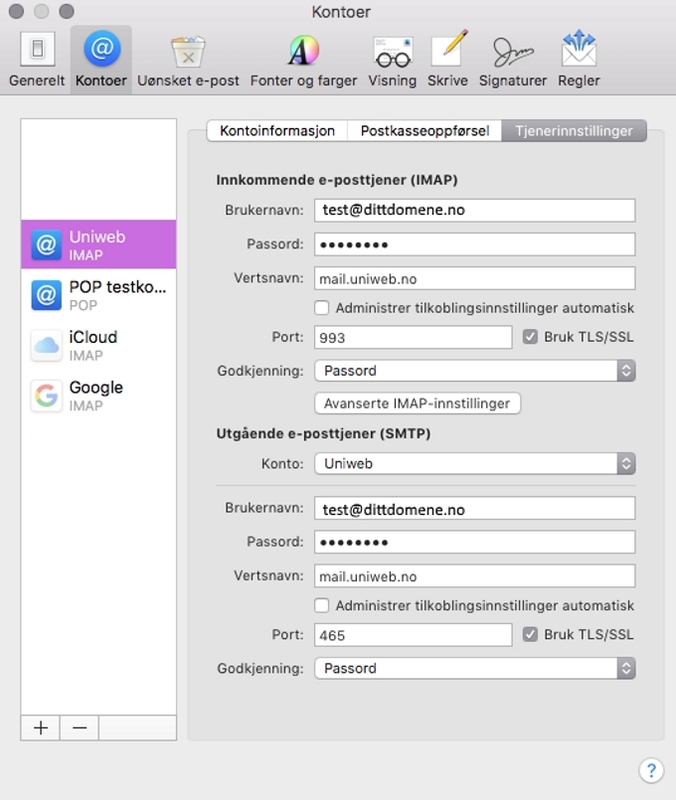 Click on «Advanced IMAP settings». 2. Write «INBOX» in «IMAP path prefix». 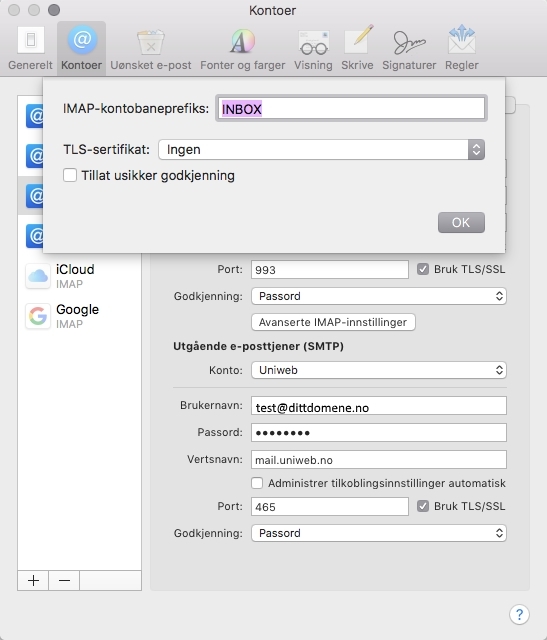 «TLS certificate» should be «None». Click «OK».